The canal towpath is popular with hikers, bikers and joggers. Fishing is good in the re-watered portions of the canal and also the nearby Potomac river. 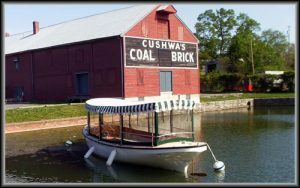 Plans are underway for “Canal Boat” rides on the re-watered portion of the canal. The National Park’s Visitor Center is located in the old Cushwa Warehouse and is open Wednesday through Sunday, 9 AM to 4:30PM (301-582-0813). 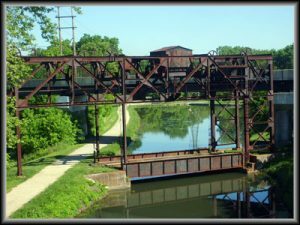 Williamsport is the only place on the canal where examples of major canal structures can be viewed within a half-mile stretch. Lock 44, a lockhouse, a re-watered section of the canal, the Cushwa turning basin and the Conococheague Aqueduct are all located in this part of the park. One of the only Bollman Iron Truss Bridges still in existence today crosses the canal at Williamsport.